إِلَى أَوَّلِ الشَّعْرِ، أَوْ آخِرِ الأَرْض، مَا أَجْمَلَكْ ! فَفِي الشَّام شَامٌ، إِذَا شِئْتَ، فِي الشَّامِ مرْآةُ رُوحِي. This entry was posted in الخط العربي والفن الإسلامي, مدونة نهاد ندم. Bookmark the permalink. A multilingual art director, Arabic Digital Artist, and a Marketing expert. 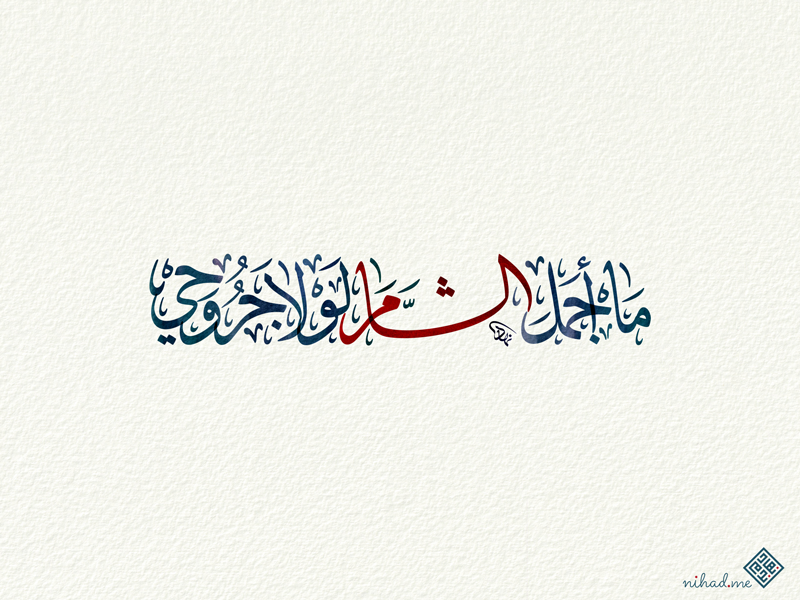 My name is Nihad Nadam, I'm a Digital Artist, Digital Arabic Calligrapher, and Graphic Designer, Multimedia and design is my academic study, and I have 20 years experience in Graphic design. Google my name to know more about me. This is my profile in Fiverr, I live in Dubai, United Arab Emirates.